Call your carrier before you go… Dozens of flights from Bay Area airports to the East Coast are canceled because of the huge storm that’s hammering the Northeast. 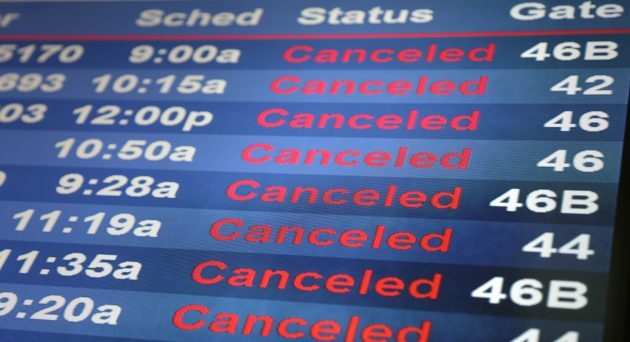 More than 30 flights from San Francisco International Airport were canceled yesterday and more cancellations are expected today. American, Delta, and United Airlines say they’ll waive rebooking fees for people whose travel plans are affected by the storm.